Ahoy film fans! It’s that time of year again to celebrate the eclectic art form of animation. For the next 10 days animation will be filling ACMI cinemas in Melbourne’s Federation Square; and I’m talking REAL animation. The kind of animation you have not seen but absolutely should. This is a unique film festival in the way that the screening session are made up of a compilation of around 10-18 short films with a particular topic or theme. These topics can range from the competition films (which are in the running for the best of the festival), to national focuses (this year being France and South America), to studio focuses (this year being Canada’s Quickdraw Animation Society and France’s Sacrebleu Productions), to technique focuses, to a special screening for children (which I made an effort to see every year, being the big kid that I am). Last night I attended the Opening Night gala screening, with complimentary sparkling wine. I felt so fancy. The purpose of the Opening Night is to get a taste of what the festival will be serving. The opening film was the incredibly beautiful Sonata directed by one of the festival’s special guests, Nadia Micault from France. Her film is a modern spin of the rotoscoping technique of animating popularised by Disney’s feature films. We then saw a couple of Australian films from the competition programme which are always so special to watch because contrary to what many may think, Australian animation is quite impressive and well worth a watch. Following these were some more foreign films, a film from the kid’s programme, the token abstract film, and some humorous CGI. MIAF really is something special. It is supposedly the third largest animation festival in the world. Why not help it reach that number 1 spot? If it’s not as great as I’m making it sound, feel free to hurl abuse at me. My friends, the end of Melbourne Cinematheque is upon us. To send us out of 2011 is, once again, the work of Henri-Georges Clouzot. 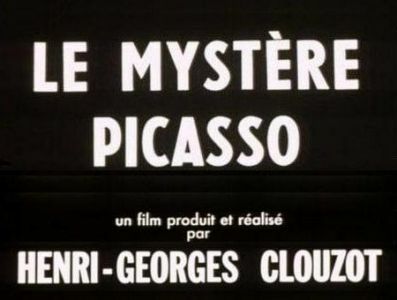 On Wednesday ACMI is screening Le Mystere Picasso (1956) and The Wages of Fear (1953). Le Mystere Picasso is a documentary which looks at Pablo Picasso’s creative process. Using a transparent ‘canvas’ the viewer is given an uninterrupted view off Picasso’s paintings as they go from basic brushstrokes to complicated and complex figures. Winner of the Special Jury Prize at the 1956 Cannes Film Festival. 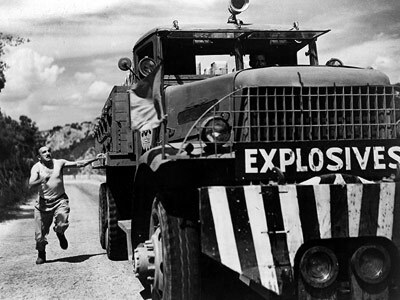 The Wages of Fear is another Cannes Film Festival winner, this time the 1953 Palm d’Or. Clouzot’s first international breakout film is set in South American and follows the travels of four European men hired by an American oil company as drivers. 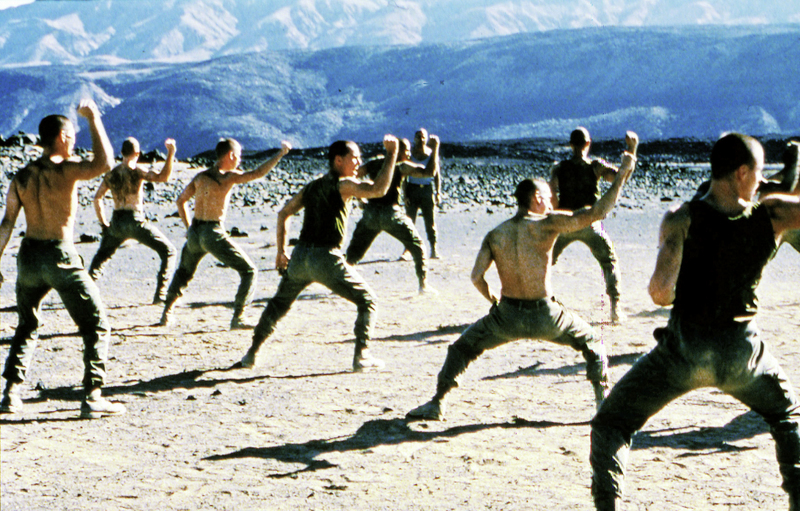 After introducing the men through their visiting of the local cantina, Clouzot follows them as they develop a deep rivalry between each other, becoming more obsessed with the idea of a fortune that awaits them at the end of their job. 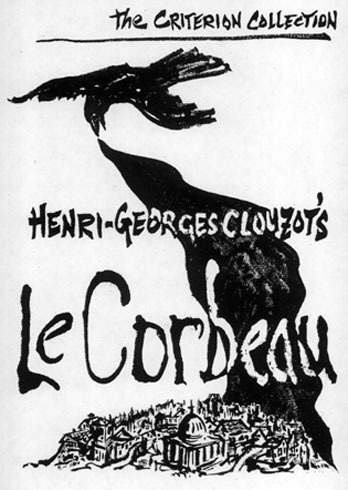 Le Corbeau (1943) is the film that got Clouzot banned from filmmaking in France and fired from his job at German film studios, Continental Films. It is also the first film playing at Melbourne Cinematheque this week. The plot centre around a small town whose moral order has been kept in check because of the citizen’s fears that if they told someone’s secret, someone would tell theirs. Now, however, a series of letters have been written damning everyone in the town and leading the small-town world into chaos. As the villages turns upon each other even more secrets emerge, with tension mounting not in who the letter-writer is, but on what they will expose next. To end the evening is a documentary on the aborted Clouzot film ‘L’Enfer’ entitled Henri-Georges Clouzot’s Inferno (2009) by Serge Bromberg and Ruxandra Medrea. 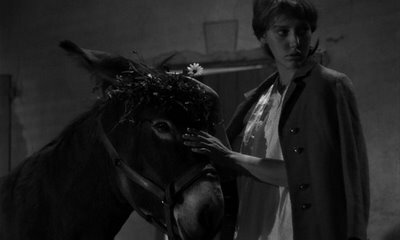 Originally to be made in 1964, L’Enfer was a psychological study of jealousy, seen through the relationship of a husband and his young, audacious wife. Diverging from his usual form of Classic Cinema, Clouzot had planned a film filled with optical illusions as a way of expressing the inner psychological anguish of his characters. Due to money and time constraints, as well as Clouzot’s hastening descent from the public eye and cinema circles, the film was never finished. Bromberg and Medrea’s documentary brings together a collection of test shots taken by Clouzot, re-enactments of scenes, and interviews to create an insight of what would have been a fantastic piece of cinema. The end of Melbourne Cinematheque 2011 is near, but don’t worry, we are being sent off in style. For the next three weeks the films of Henri-Georges Clouzot will be screened, starting with Les Diaboliques (1955) and Quai des Orfevres (1947). Clouzot- often called the ‘French Alfred Hitchock’ for their joint love of suspense, thrillers, the precision within their films, and their notorious hatred for actors- was drawn to filmmaking early yet due to an early film looking harshly at Nazi Occupied France he was banned from filmmaking until the end of the war. By 1947 he was again allowed to direct and quickly rose to prominence. Drawing upon Expressionism, Clouzot’s films exhibit a restless style and preoccupation with detail and deception. Towards the end of his career the critical popularity of Clouzot’s films began to wane for the rising directors of the Nouvelle Vague didn’t deem his work significant enough to warrant analysis and numerous negative articles about Clouzot’s films appeared in Cahier du Cinema. 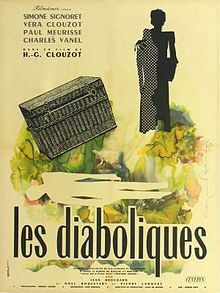 To begin the retrospective this week we have Les Diabliques, based on the novel She Who Was No More and reportedly adapted into a film by Clouzot before Hitchock had the chance to. The plot- drastically changed by Clouzot- follows the wife and mistress of a sadistic and cruel boarding school headmaster as they plot, scheme and eventually murder him. Yet when the drowned body disappears and reports of the murdered man begin to be cited around town emerge, the two women slowly begin to be driven mad with guilt and worry. 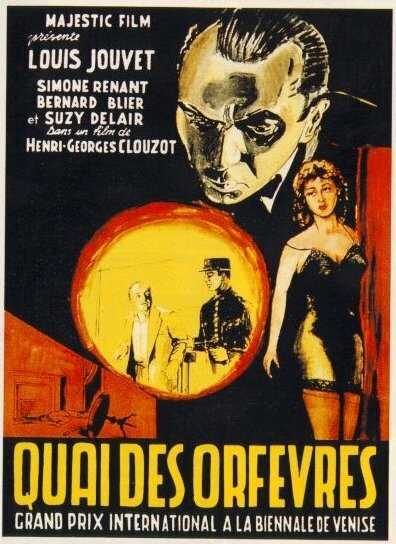 The first film made after his government-forced censorship, Quai des Orfevres was re-written by Clouzot from memory as the original novel was out of print. A Private Investigator tries to uncover the murder of a sleazy film producer who often ‘discovered’ girls at musical halls and dance acts. His most recent discovery was Jenny Lamour who would do anything to become famous, even in spite of her jealous boyfriends threats of murder if she went to the producers house. 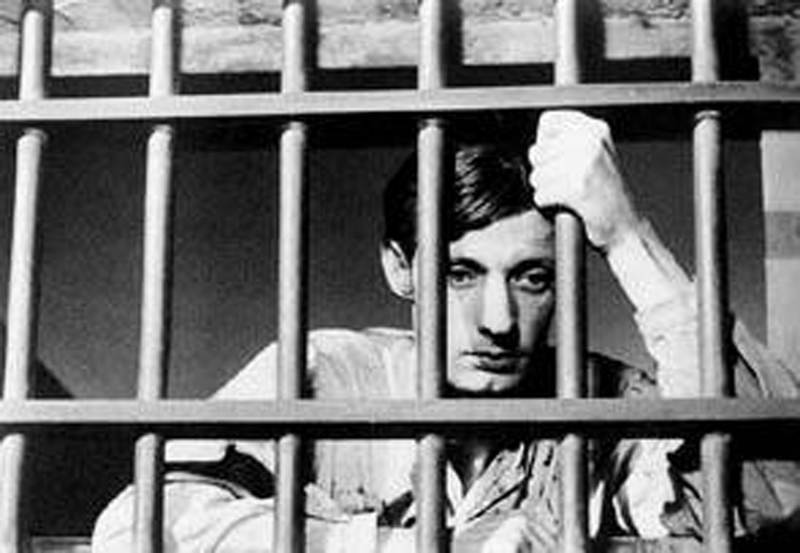 Which much focus put on the psychological drive and make-up of characters, Quai des Orfevres is often seen as the pinnacle of post-war crime films. And now, on to Nicolas Philbert. The celebrated French documentarian has spent his life looking at the intimate, philosophical, tragic and humorous aspects of everyday life and situations. Fascinated with how we communicate, Philibert often looks at the interaction between different groups: teacher and students in Etre e Avoir (2002), chimpanzee and human in Nenette (2010) and the hearing and the deaf in (1992). La Ville Louvre (1990) was made over five months and looks at the inner-workings of the Louvre museum and gallery in Paris. After the renovations the Louvre went through in the 1980s Philibert’s documentary helped to introduce audiences to the museum. Running at 85 minutes the documentary covers a day at the museum for those who work behind the scenes; those who hoist paintings onto walls, the cleaners polishing glass, tour guides taking visitors around, historians and conservationists restoring paintings- everything is documented. Etre e Avoir is Philibert’s most well-played documentary (and a still from the film serves as the wallpaper for the Melbourne Cinematheque’s website). Taking place in a single-room school in central France, Philibert looks at the teacher/student relationship and slowly comes to know each of the individuals in the class as the school year continues. Whilst shot within the classroom the outside world is also shown, and it is a place where not all of the children feel comfortable, accepted, or wanted, allowing Philibert to further present the classroom as a tranquil area. The extremely calm and patient teacher is Georges Lopez (who later came to take unsuccessful legal action over the film claiming that he and the parents had been mislead over the nature of the documentary) who only once raises his voice to his young charges. Following on his tradition with looking at how we communicate, Philibert presents the viewer with a charmingly shot film. My Afternoons with Margueritte has a pretty major surprise for you: it’s a French film starring Gerard Depardieu as a loveable oaf! I know. Bizarre. Once you’ve stopped reeling from that little revelation, I want you to remember that sometimes surprises are overrated, and there is a pretty good reason why Depardieu appears in about six billion films per year: He’s good. 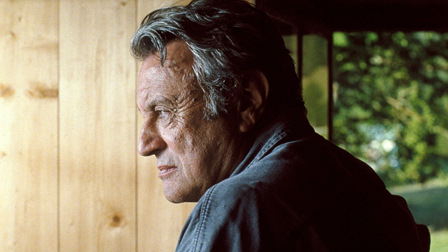 Gerard plays thick of mind-and-body Germain Chaves, a simple and decent but troubled man. He stays in a caravan beside his increasingly demented (and always demeaning) mother’s house, growing vegetables, whittling birds, and mulling over his unknown father and virtual illiteracy. In comes Margueritte (Gisele Casadesus), a little tiny lady packing a handbag full of Camus like the world’s most adorable grandmother. Germain’s half-lived fifty years render him a child in the face of the gregarious Magueritte’s ninety-five, and as their friendship deepens it allows them both the chance to experience something they have previously lacked: Maternal Love. This relationship progresses from symbolic to a more literal one. If you were a chump you could slap some Freudian rubbish on that if you want to, hypothesise on it’s implications in a post-nuclear family age, but the fact is this is a simple story, simply told, about not so simple people. Depardieu plays his role with total sincerity, and he perfectly demonstrates a man’s transition from naivety into awareness while retaining his innocence. Gentle comedy chugs quietly along beside the more dramatic moments, nothing being overplayed or hacked up. The overwhelming sense of sweetness doesn’t have the after-reek of saccharine. This is just genuinely enjoyable, gentle film-making in an idyllic setting with just enough grit to keep from cloying on the palate. This being a French film they’ve got a hot blonde literate bus-driving girlfriend who inexplicably loves a fat fifty-year-old. She visits his caravan in his mother’s yard and desperately wants to make a baby with Germain, which at first seemed plain absurd. By the end of the film though, you buy it. You buy it all. My Afternoons with Margueritte opens April 21 @ Cinema Nova and others.